*'''Username''' - The member's username. *'''Password''' - The member's password. *'''OpenID''' - The member's OpenID. This is only displayed if it has been enabled by the forum administrator. *'''Minutes to stay logged in''' - The number of minutes the browser cookie will last before expiring. *'''Always stay logged in''' - Prevents the browser cookie from expiring. 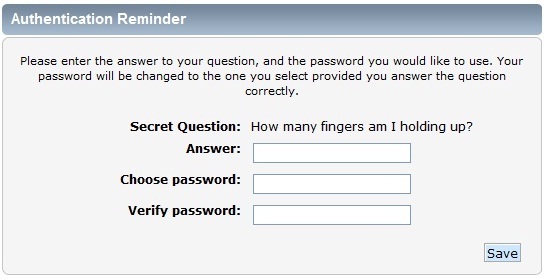 If a password is forgotten or lost, it can be reset by selecting the ''Forgot your password?'' option from the login screen. 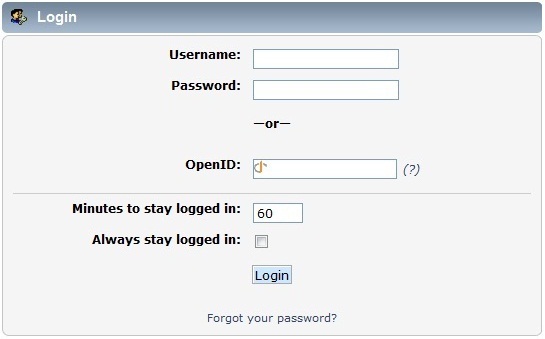 The username or email address for the account is requested to begin the password reset process. -->When you have finished browsing the forum, you may decide to logout. Perhaps you share a workstation with someone else, in which case leaving yourself logged in would not be a good idea. So select the Logout option from the Main Menu and the Forum should log you out, turning you into an instant guest, clearing your name from the list of users online and safeguarding your Forum identity until you choose to login again. When you have finished browsing the forum, you may decide to logout by selecting the '''Logout''' option from the Main Menu.